Only A Legend Like Ranveer Singh Can Give ‘Chandan Theatre’ Feels In Berlin! The sound of ‘Apna Time Aayega’ reverberated at the Friedrichstadt-Palast as Bollywood actor Ranveer Singh rapped away, much to the delight of the packed audience, at the world premiere of the forthcoming film Gully Boy at the 2019 Berlin International Film Festival. “Packed house with the loudest, most passionate cheers. Berlinale gets a taste of the crazy Indian film fan at the world premiere of Zoya Akhtar’s Gully Boy,” tweeted Smriti Kiran, Creative Director, MAMI Mumbai Film Festival, who was present at the screening on Saturday night. 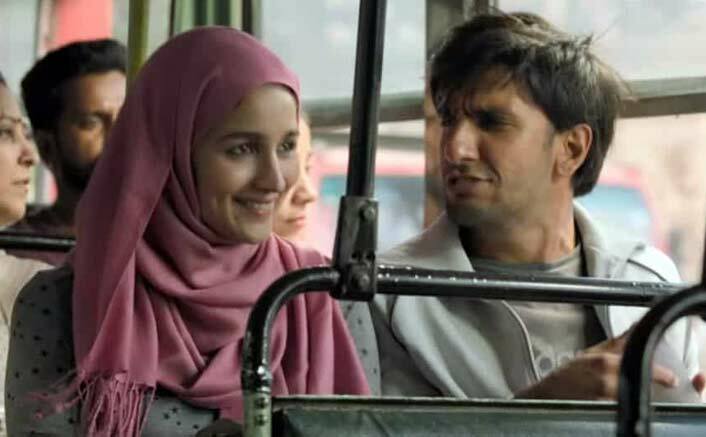 According to Cameron Bailey, Artistic Director, Toronto International Film Festival, a regular at the Berlinale, Gully Boy elicited the “biggest cheers” he had heard in “20+ years” at the annual film jamboree. “Thank you Ranveer, we had a blast last night, you were absolutely amazing,” read a post on the official Twitter handle of the fest. Here’s Why The Union Of Ranbir Kapoor & Ranveer Singh Will, Yet Again, Remain Just A Dream! Ranveer, known for his effervescence and exuberance, exhibited why he’s best tagged as Bollywood’s powerhouse of energy. He rapped away the song Apna time aayega like a professional to give the audience a taste of the experience he has had doing a film on the street rappers of Mumbai. For the actor himself, “it was a truly memorable night”. His co-star Alia Bhatt, looking striking in a Prabal Gurung ensemble, also made her presence felt by asking the audience to chime in “aayega” when she says “Apna time”. The enthusiasm is there for all to gauge with several videos that have gone viral on social media. Initial reviews of the film, which is a rather unusual Valentine’s Day release, are positive. The post Only A Legend Like Ranveer Singh Can Give ‘Chandan Theatre’ Feels In Berlin! appeared first on Koimoi. Previous ArticleHere’s Why The Union Of Ranbir Kapoor & Ranveer Singh Will, Yet Again, Remain Just A Dream! Next Article Alita: Battle Angel Box Office Day 3: This Visual Spectacle Is Surely Attracting Its Target Audience!